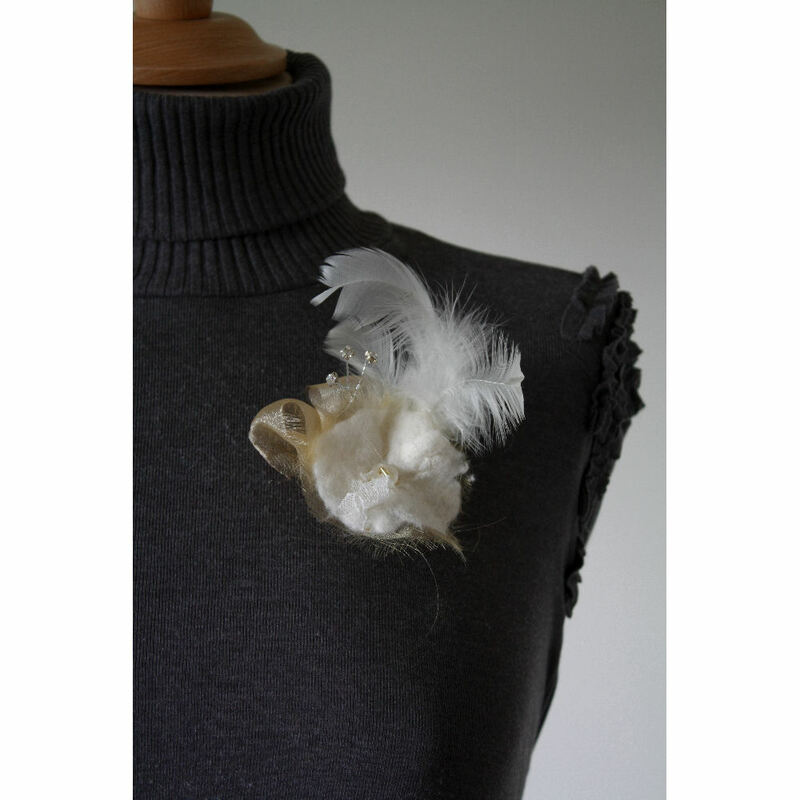 Bridal Boutique Felt Corsage ” Feather Sparkle”. Hand made, one off corsage in cream felt. Delicate and elegant in subtle shades of pale gold organza and creamy white feathers. The central corsage is made from cream felt with delicate pieces of lace worked into the surface. Organza pale gold frayed ribbons add detail to the side. Feathers give a soft movement to the piece while a diamonte sprig brings that touch of sparkle. 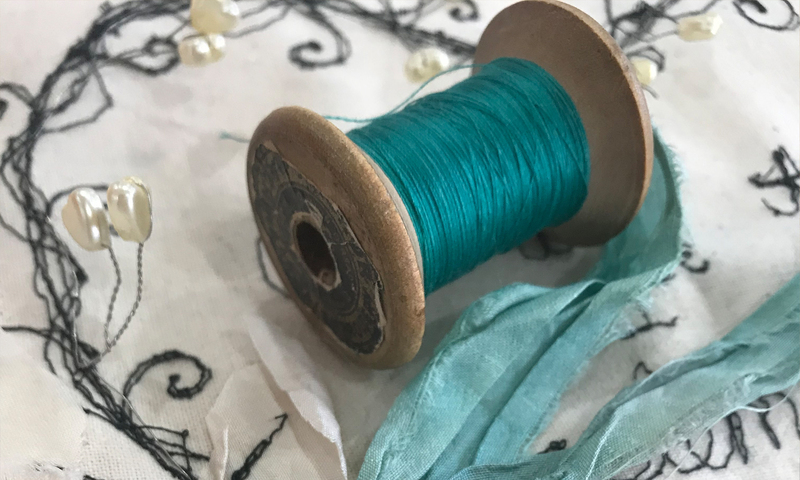 The corsage has a metal brooch back sewn onto the reverse to allow this product to be securely attached to a bag, coat or outfit. A stylish accessory and a lasting keepsake of a wonderful occasion. Approximate size is 7 x 12 cms. Product code FB ND BB FS 092011.